Alverno Laboratories has a central lab in Hammond, IN, and partners with hospitals, clinics and physicians to conduct disease detection testing in symptomatic and asymptomatic patients. Accurate testing is critical for patients, regardless of background or experience. The company services patients in multiple communities and includes inpatient, outpatient, hospital and outreach services. In order to be the best service provider, Alverno uses the most up-to-date technology. Trained lab personnel test samples, record data and provide results that are used to identify diseases early. Over 30 hospitals and numerous physician clinics in Indiana and Illinois, including Chicago and the surrounding suburbs, trust Alverno for accurate test results. With an annual growth rate of 20 percent, over 1,700 employees that include 100 in-office phlebotomists help the company provide a necessary medical service while maintaining a great patient experience. Alverno understands that trust in the medical field is paramount. For an in-depth look at Alverno Lab’s best practices and how your organization can benefit from the use of Big Data to improve the patient experience watch the recorded webinar now! Focused on what they have branded “The Alverno Experience,” Alverno strives to provide the best patient experience to all individuals who use their services. For the Alverno Experience to succeed, patients must leave with a positive clinical experience. And for the patient experience to excel, employee engagement must be optimized. Once this discovery was made, The Customer Experience Committee merged with The Employee Engagement Committee. The newly formed committee also developed a MediaLab presentation to describe and illustrate the ideal experience. Step two was to survey employees to better understand how Alverno helps them provide the Alverno Experience. Reviewing and ranking responses, the committee found that of the top 26 words and phrases, the most frequently used were: customer, staff, employees, patients and lab. Communication and better training were close behind. This reinforced the committee’s belief that customer experience is tied to employee training and engagement. Next, the third step was to look for easy wins. The committee took the survey feedback and created employee education and basic phlebotomy competencies including creating process mapping for the various blood draw processes. Process mapping allowed the committee to identify areas of improvement otherwise known as Kaizen. The Kaizen bursts were shared with the leaders to make improvements for their patients. The final step towards delivering the Alverno Experience was to move the attention from the employee experience to capturing the patient experience. The company knew it needed a method to obtain patient feedback that was fast and easy. Focus groups would be difficult, and paper and phone surveys do not provide real-time data. Alverno wanted actionable results from their patient experience survey. 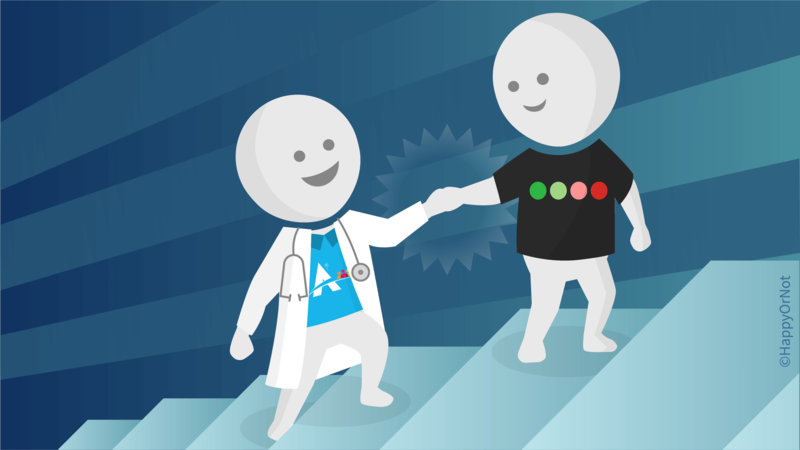 The company sought out a partner that could deliver patient satisfaction results in real-time. They found what they were looking for with HappyOrNot. Alverno installed HappyOrNot Smiley Touch™ touchscreen terminals loaded with an easy-to-answer question that allowed the flexibility to change it monthly or quarterly. The patient simply taps one of four Smiley faces capturing their level of happiness with the service just experienced. For the patient, it is effortless and anonymous, and they are willing to do so. If a customer chooses a green face (dark green very happy or green happy), they are given a list of highlights to choose from, including staff attitude, wait time, and staff professionalism. If a customer chooses a red face (dark red very unhappy, red unhappy), the screen prompts the patient to select a pain point that reflects the same categories as the highlights. A daily report is generated and provided to an administrator at each survey location. The company selected a trial period with three touchscreen terminals at patient service clinics and a fourth at a hospital outpatient draw center. The results were compared to the patient experience survey that was previously in place, and proved astounding. The HappyOrNot satisfaction feedback solution was shown to provide better respondent rates with increased accuracy and tracks results by day and by hour. The analytics allowed the company to not only determine which survey locations were providing the best patient experience, but to also pinpoint other areas of concerns. With HappyOrNot’s easy-to-interpret real-time analytic reports at their fingertips, Alverno has been able to identify employees in need of further training, review staffing levels, reduce patient wait times, and streamline processes. The Happy Index is the official HappyOrNot performance calculation which indicates the satisfaction performance of a company on a scale from 1-100. Employees are also more engaged. Results are posted in each facility weekly. The site with the best HappyOrNot score receives prizes. Alverno also created and introduced a new employee incentive, “The Alverno Customer Experience (ACE)” Award. It is awarded to the employee who provides an excellent patient experience. HappyOrNot Smiley Touch provided the critical real-time data, including specific dates and times of patient experience, which allowed Alverno to champion their goals and surpass the satisfaction rating target. This is the first blog of the “Influencing Patient Experience” series. Read on to learn more about quality patient feedback and the role it plays in improving patient satisfaction. 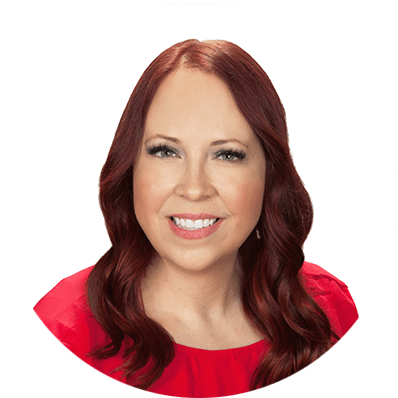 Sarah is a Certified Customer Experience Professional and Lean Six Sigma Black Belt with proven results achieved through end-to-end management of internationally recognized CX, EX and performance programs. Sarah is most known for her expertise in developing customer-centric cultures, her Voice of Customer insights & understanding and her ability to raise performance.